All conveniently located near you in Oakland, California. Betts Lakeshore Chevron - We're here to help you! Trust us to take care of your car. We have the latest in quality diagnostic equipment your new or older car needs. and repair the things that can go wrong with your vehicle. For positions with Betts Lakeshore Chevron contact the manager at (510) 465-1761. Thank you. Ken Betts Montclair Chevron - In the heart of Montclair Village! Call us for an appointment today. We can take care of everything from an oil change to transmission service. to fixing what's wrong with your car at one of our automotive repair facilities, to washing it at one of our car washes. a company known for honesty, for fair deals and for quality work. For positions with Ken Betts Montclair Chevron contact the manager at (510) 339-1064. Thank you. Ken Betts Redwood Chevron - At the edge of the Lincoln Square Shopping Center. The employees at all of our sites consistently earn glowing compliments from customers. For positions with Ken Betts Redwood Chevron contact the manager at (510) 531-9131. Thank you. and a great shopping district on Piedmont Avenue in Oakland! through our car wash and another employee will towel dry your car at the other end to prevent water spots! For positions with Ken Betts Suds Machine contact the manager at (510) 547-5507. Thank you. 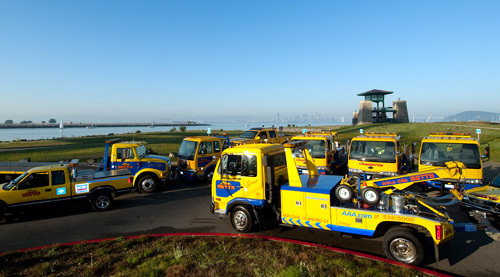 Ken Betts' Towing Service - Conveniently located in Oakland - Cars stored securely inside and within fenced areas! Office open Mon - Fri 7 AM to 5 PM Service 24 Hours a Day! of advanced technology our tow truck drivers can move around the cities in a safe and timely manner. We can help with local or long distance towing. specific requirements for their vehicles and we meet them. You can also benefit from our three AAA Automotive Approved Repair Stations in Oakland, Montclair and Piedmont area. For automotive repair related questions please call us at (510) 763-9392. We will be glad to assist you and appreciate your business. No job is too great or too small. When your car breaks down call Ken Betts Towing Service at (510) 532-5000 or (800)404-2388 for help! 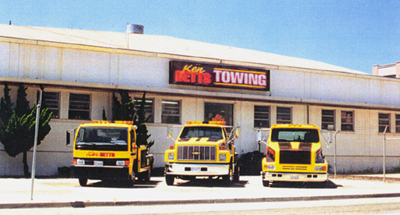 For positions at Ken Betts' Towing Service contact the manager at (510) 532-5000. Thank you. If you are interested in Private Property Tows click here. If you are interested in relocating vehicles in the San Francisco Bay Area please give us a call at (510) 532-5000.